It’s the show that plays fast and loose with the laws of physics, the laws of gravity and just about every other scientific law there is. Professor Brian Cox [think Bill Nye] would not approve . 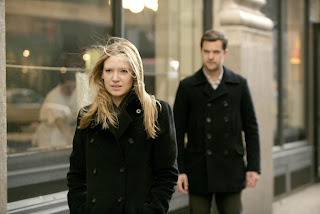 But if you take off your lab coat, put your feet up on the sofa and forget scientific accuracy, Fringe is one of the most brilliantly-imagined fantasy dramas to come along in ages – it even has parallel universes to choose from! Read the full article at SFX for complete breakdown. It pisses me off even more that josh should just "downplay" his character and his acting just to make John and Anna look better than him. Stupid article. I am really tired of people calling Fringe the next X-Files, but we're all entitled to our opinions, the only thing is I'd hope those who don't watch the show and claim it's just a ripoff of the X-Files would actually watch Fringe, then shut it. You are right, that was shocking. Lincoln is one of the reasons why this season is so unpalatable. I would replace that useless character with Charlie Francis, despite his absence this season. You are right, it has very little to do with The X-Files. They are two very different animals, even if they fit in the same genre. In its place I'd put Peter's peacoat. SFX is notorious for its, let us say, off-centre judgements. It winds up fans all the time. Mentioning about every major character (but leaving out my favourite, Charlie) except Olivia, while insulting Blair Brown by suggesting only her hair can act, is par for the course, and another reason for me not to buy their rag. I myself cannot understand why so many reviewers love lincoln so much and rave about seth gabel, i think if you watch 4.17 (which he was so praised for *vomits*) the scene where he slams the shapeshifter up against the fence tells all you need to know about his acting ability, the quality of his character and what he has done to fringe. Absolutely awful. Where is charlie! ?